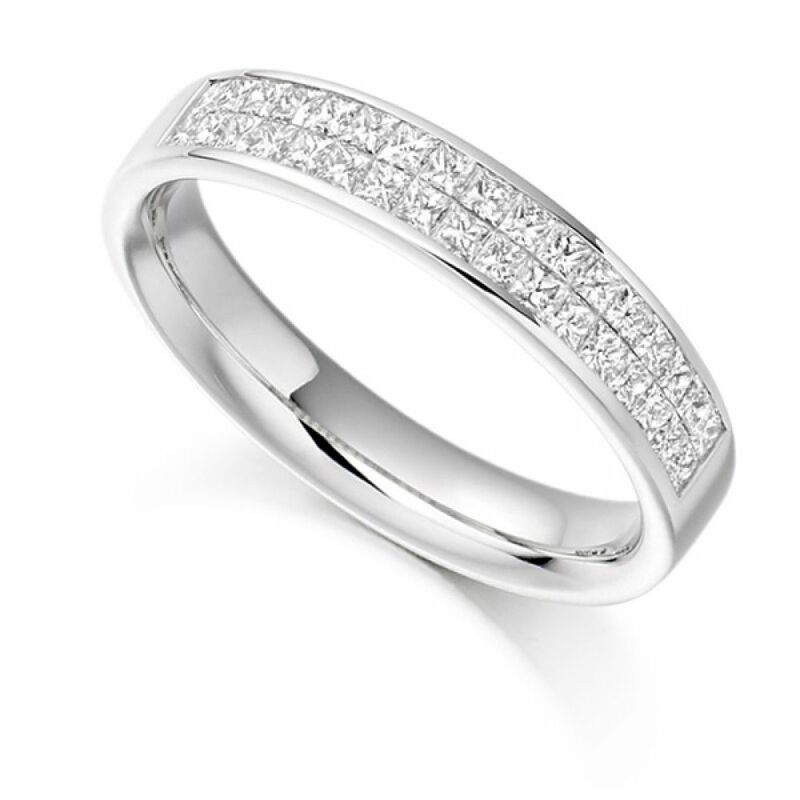 Half eternity ring, invisibly set with double row princess cut diamonds, 0.60cts in weight, across a 3.7mm wide band with channel setting. Our delightfully dazzling double Eternity Ring displays two rows of channel set Princess cut Diamonds weighing a total of 0.60cts. The 3.65mm width of the flat court profile ring allows for the F Colour VS1 Clarity Diamonds to really give that glamorous feel. This ring is available in a wide range of precious metals including 18ct White Gold, 18ct Yellow Gold, 18ct Rose Gold, 950 Platinum and 950 Palladium. Here at Serendipity Diamonds, you can rest assured that your ring will be crafted with exquisite attention to detail and delivered to your door in our bespoke packaging ready for the big reveal. Please allow 3-4 weeks for us to meticulously create your ring.